This updated and accessible encyclopedia is a comprehensive reference guide to the history and development of feminist literature, from early fairy tales to works by great women writers of today. Hundreds of informative A-to-Z entries cover a wide range of works and writers from around the world, as well as a range of genres, including novels, short stories, poetry, plays, and criticism. 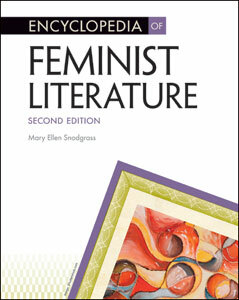 Encyclopedia of Feminist Literature, Second Edition is the definitive resource for this movement. Feminist literary motifs and issues, such as captivity lore, education, goddess lore, sexuality, and witchcraft. Mary Ellen Snodgrass is the author of numerous award-winning reference works, including Encyclopedia of Fable, Encyclopedia of World Scriptures, Encyclopedia of Satirical Literature, Encyclopedia of Utopian Literature, and Facts On File's Encyclopedia of Gothic Literature.